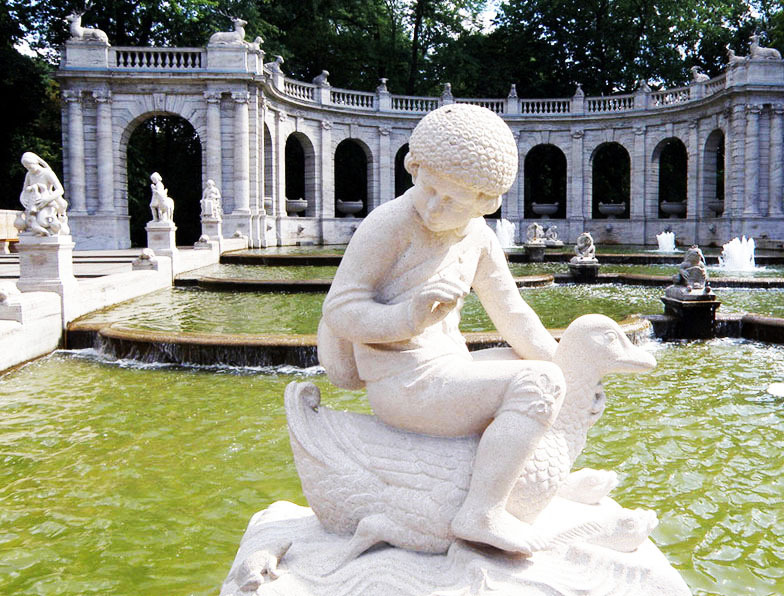 The Märchenbrunnen or "Fairy Tales Fountain" is the entrance to the National Park Friedrichshain. Designed by Ludwig Hoffmann in 1901 with a neo baroque style and with stone sculptures by Joseph Rauh, Ignatius Tashner and Georg Vrba from well known characters as Hansel and Gretel, Little Red Riding Hood, to say a few. The 90x172m wide fountain space was inagurated until 1913, and is now a beautiful and not so crowed space to spend a sunny day with cool water around your feet. "It's my sanctuary when it's a really hot day! I love the sound of the fountain and the activities around it." -Astrid Paramita, Developer/Designer & Founder. "Go for whatever makes you happy!"